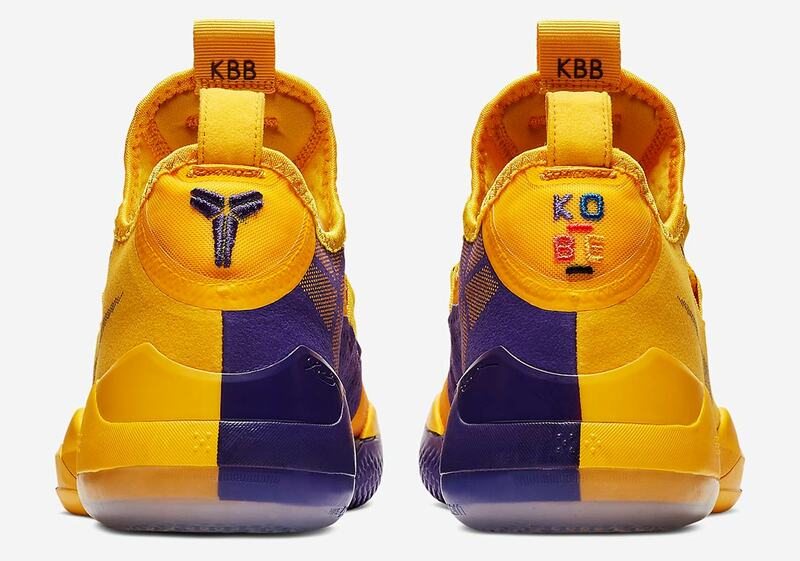 Kobe Bean Bryant may have retired from the NBA back in 2016, but thanks to his current AD line and torch-bearers like Demar DeRozan, Isaiah Thomas, and Anthony Davis, the Black Mamba’s signature sneakers still hold a strong place in hoops culture. 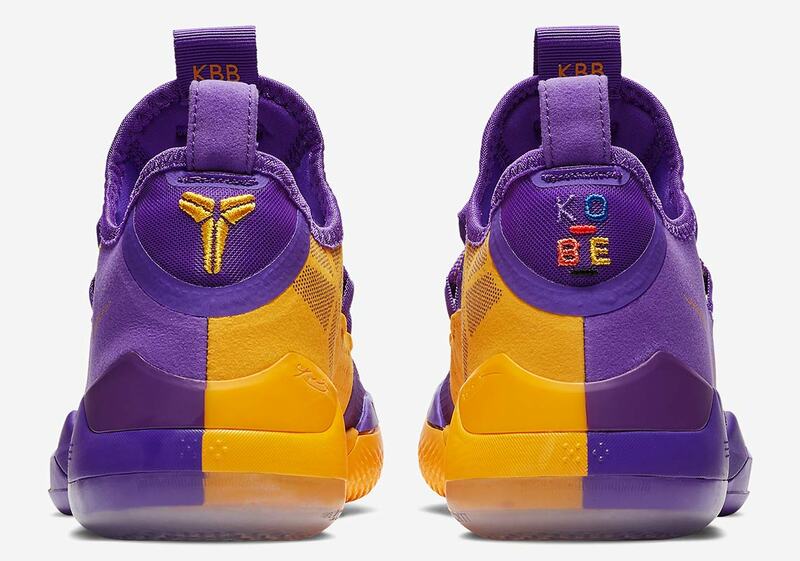 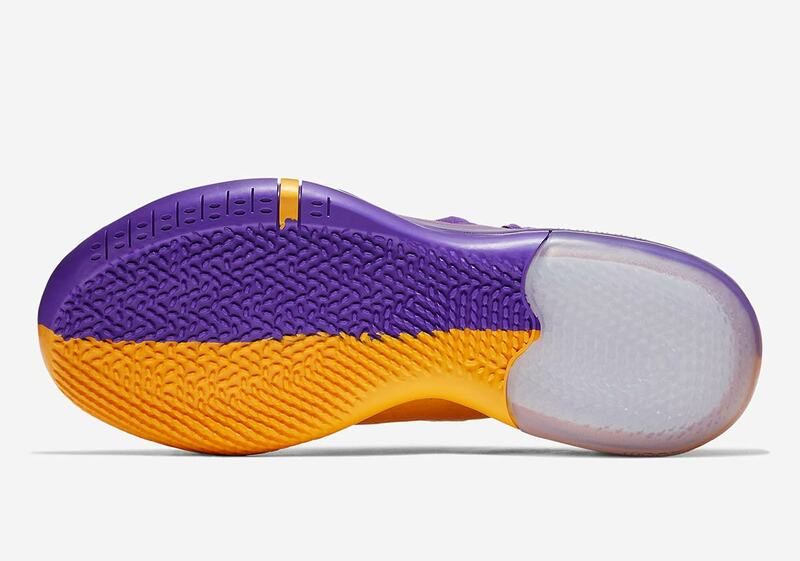 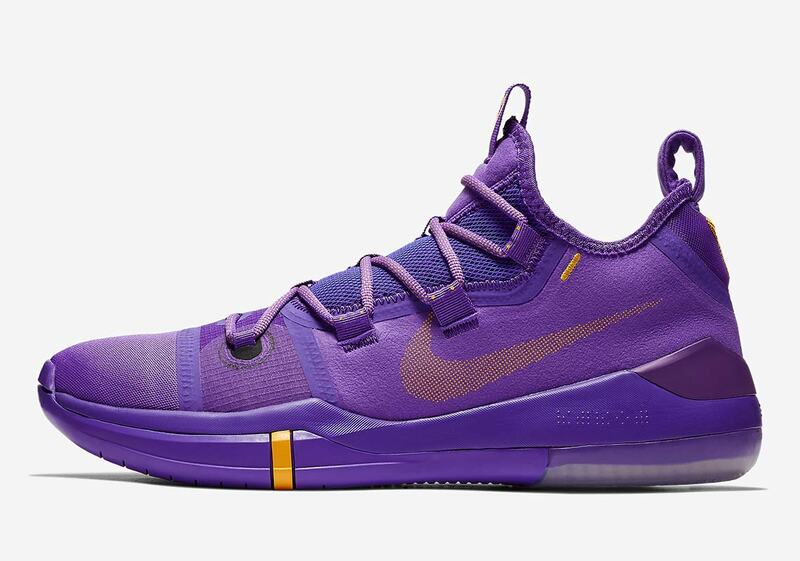 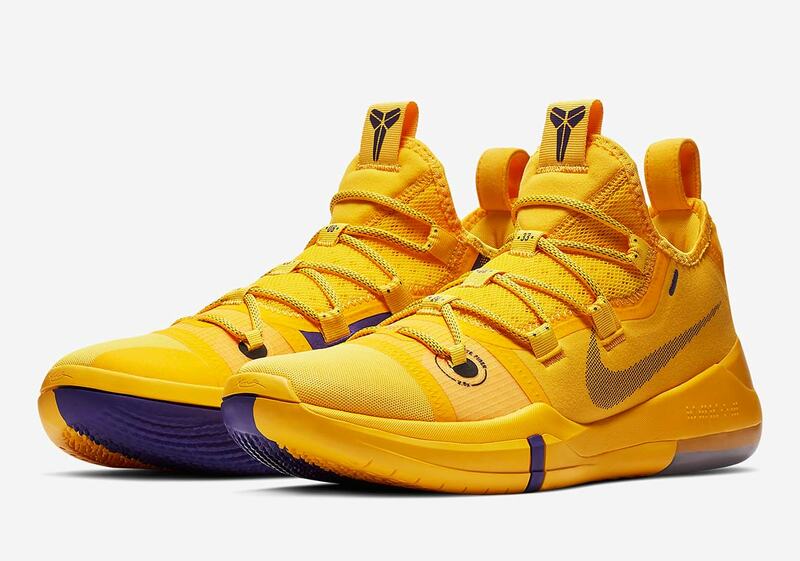 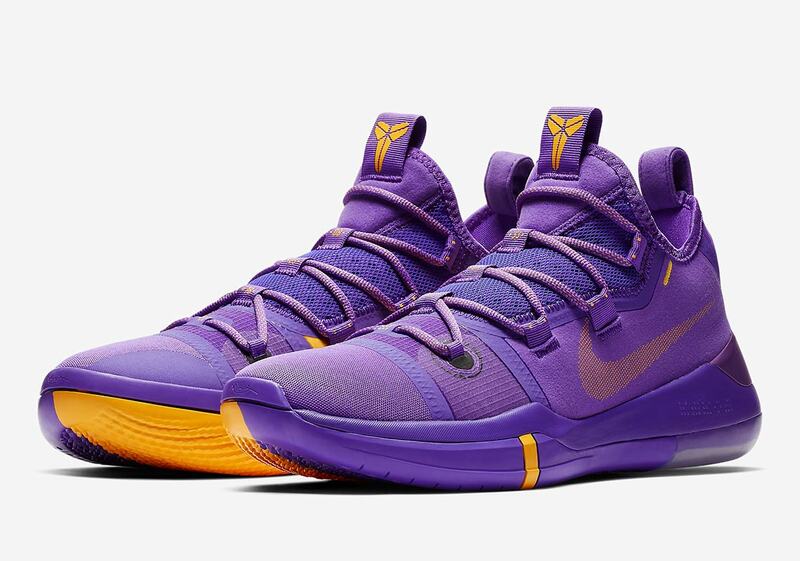 Now, his team color-friendly Nike Kobe AD has surfaced in a two-pack of colorways that any Lake Show fan is sure to love: a kingly gold and a rich purple. 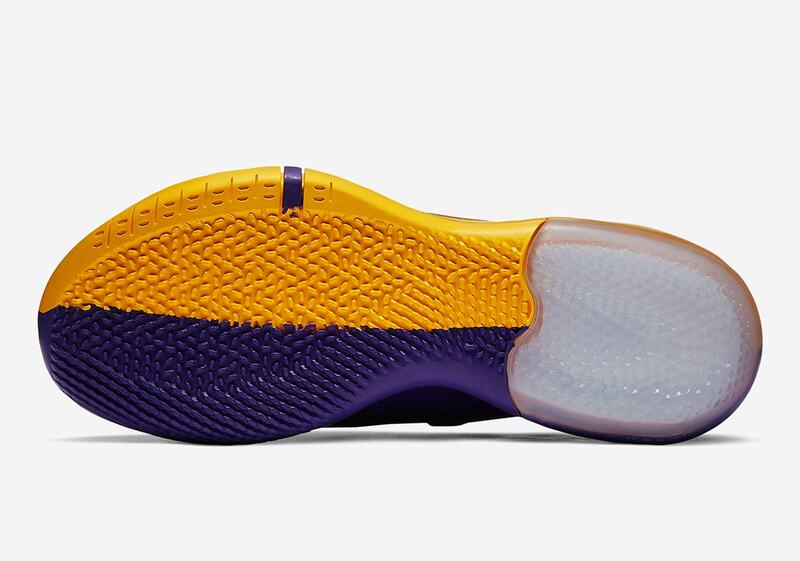 Offering an interesting inverse look of sorts, both colorways feature their primary color on the medial side, tongue, and throat, while contrasting colors arrive on the lateral side, accents, and two-toned outsole. 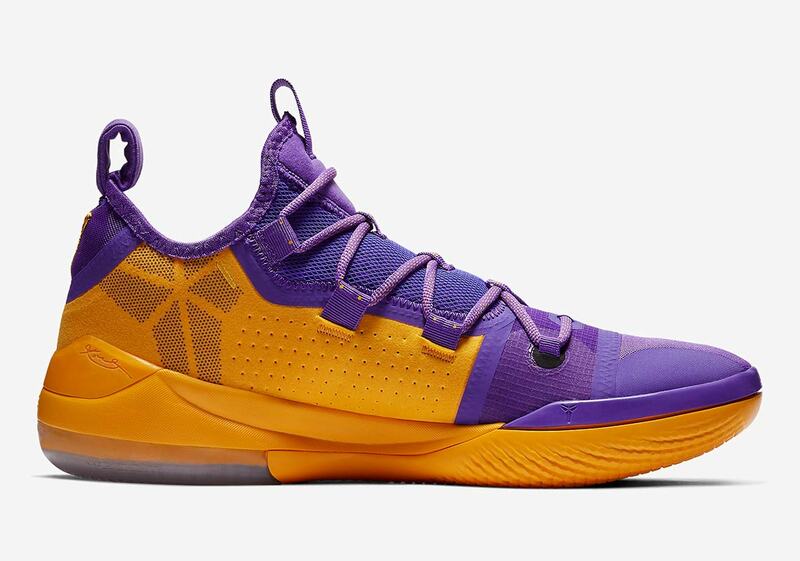 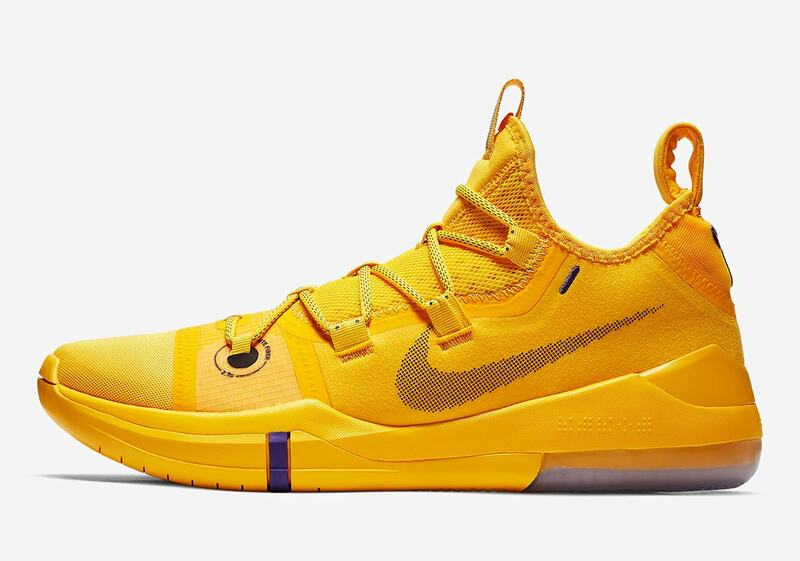 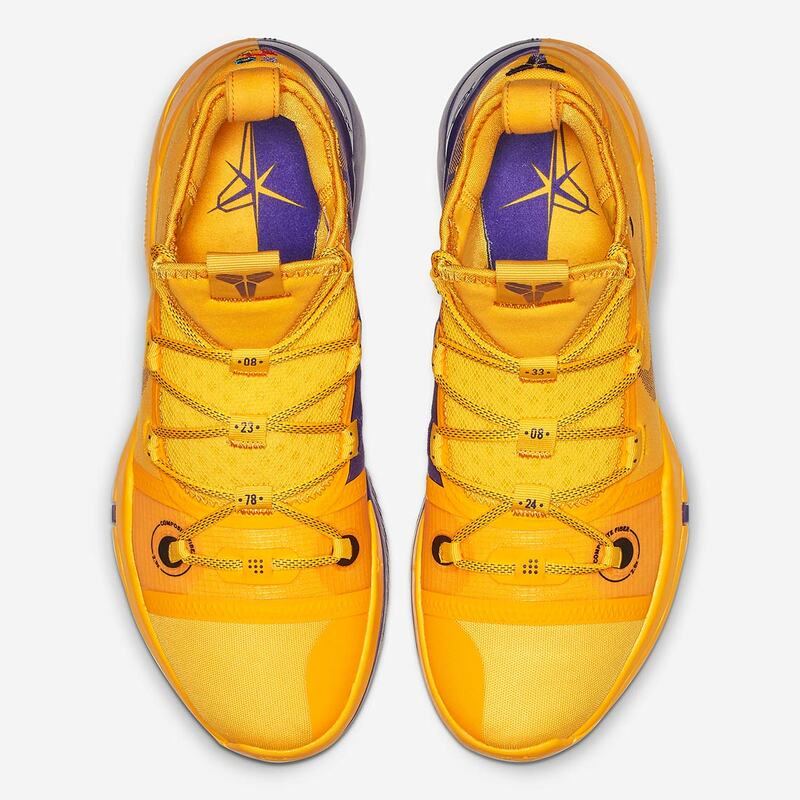 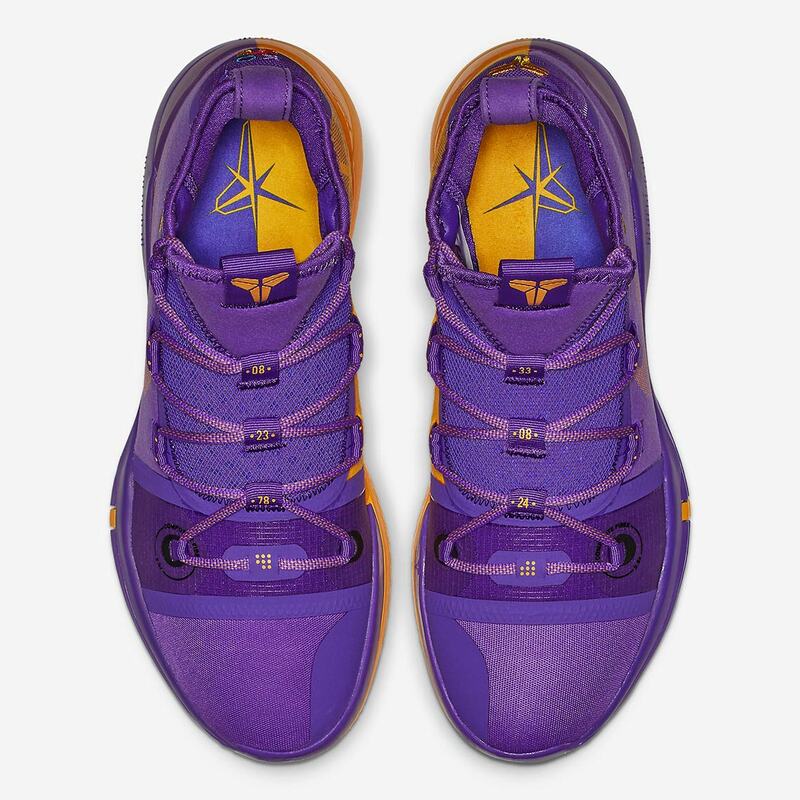 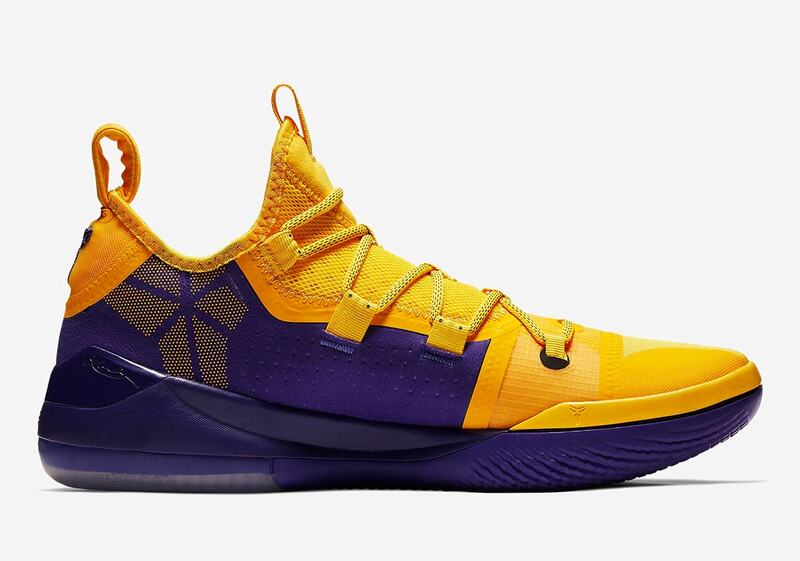 The team-friendly look is then completed by special Kobe sheath detailing on the tongue/medial midfoot, plus colorful embellishments on the heel/numbers important to Bryant’s career on the lace loops. 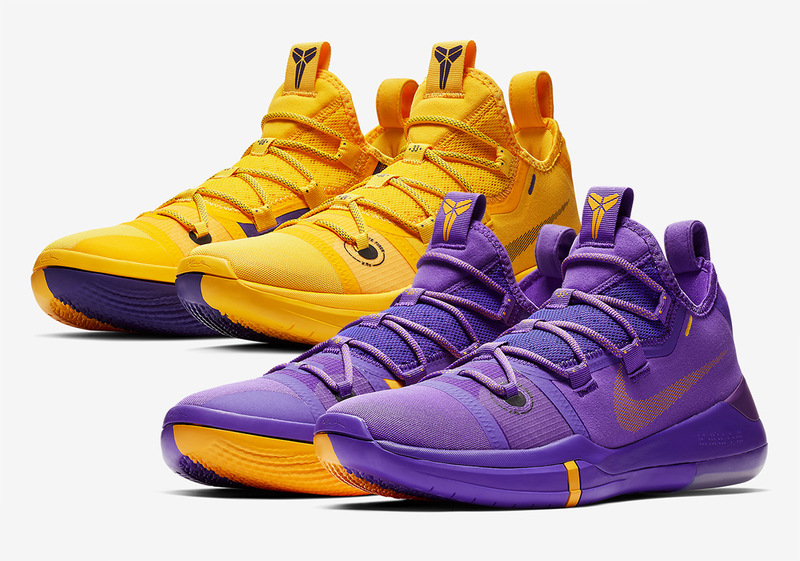 These special Kobes are available now on Eastbay and will be coming soon to Nike.com, so get a detailed look at both pairs below — and don’t be surprised if a current Laker opts to wear one of each color on the court at some point this season.